Business has never been greater for the Army's 26 Chicago-area Thrift Stores, and many are first-time customers. In the midst of the worst economic downturn since the Great Depression, one chain of retail stores in Chicago is doing a booming business. 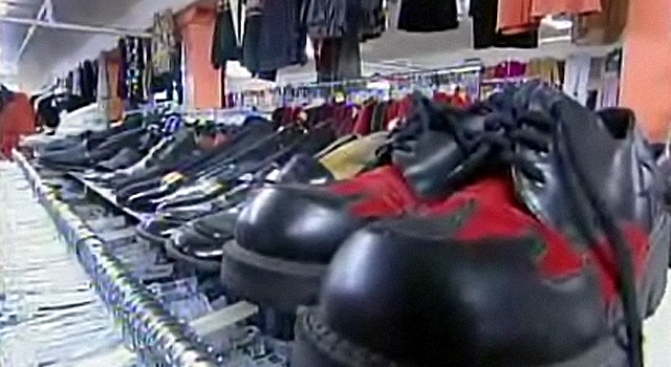 "My experience is that when business is good for the thrift store business, the economy is kind of in a rough way," said Major Mark Anderson of the Salvation Army. "Individuals are looking at their checkbook. They're looking at how much they're able to spend." "We're seeing people come into our stores that we haven't seen before," said Anderson. "I will tell you that it is a tough step when you're out of funds, you're laid off, things have gotten rough. It's a tough step to ask for help." At the downtown store on North Union on Wednesday, shoppers were browsing the clothing, books, and appliances. "With the way the economy's going, it's kind of a good idea to be looking for the best deal you can get," said freelance video producer Tony Ingram. "I was surprised by how huge it is, and how much stuff there is," Milwaukee resident Kim Robbins said, adding that she stops in whenever she is in Chicago visiting relatives. The Army estimated that during one recent week in February, business was up over 25 percent over this same time last year. Their Chicago-area stores sell everything from clothing, to household appliances, to furniture. "A family can, with pride, have the opportunity to get the clothes they need," Anderson said. "Anyone and everyone can feel comfortable in those doors, and we want people to come in." All of the Salvation Army's programs have seen increased clientele during these challenging times. "Unfortunately this Christmas season we saw an over 50 percent increase in assistance for those people who asked for help," said Major Stephen Harper while standing next to a mobile feeding wagon on the west side. Even though donations are down, Major Harper said the Army has stretched its resources. "We don't want to say no to anybody. If you have a legitimate need, we want to try to meet it," he said. Harper said some familiar faces in the stores are now appearing for different reasons. "Some of the people who came for assistance at Christmas time apologized, because they had been donors in the past," he said. Those wanting to help the Salvation Army with clothing or household items, can arrange a pickup, by calling 1-800-SATRUCK. Financial assistance can be provided online, at www.salarmychicago.org.